WELCOME TO OUR ORCHID DATABASE!! Please enjoy the photos and the information provided. Scroll down to see entries. The orchids are organized by the alliances (groups) to which they belong. 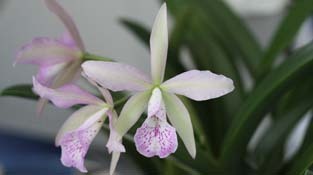 We would be delighted if you would consider adding your orchid photos to our orchid database. 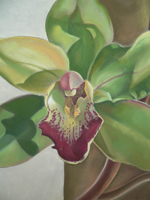 Our goal is to build an image database of our members' orchids and contribution is encouraged. Here's how you do it. It's a two step process. Step 1. Please check the Browse all the entries to see if an entry already exists. You can add photos or comments to established entries. For a new entry click HERE to begin. Fill in the fields accordingly then hit 'Add the entry'. You may enter as many plants as you wish. Note : You can't add the picture yet! That's step 2. Step 2. Click on 'Click here to view your new entry.' You'll be presented with the page where you can add your photo for that entry (or comment on someones else's photo!). By clicking 'return to this entry,' you can add multiple pictures (whole plant, close-up, etc) if you desire . All entries will be checked for accuracy by the moderators. Thanks again for your contributions to our database!